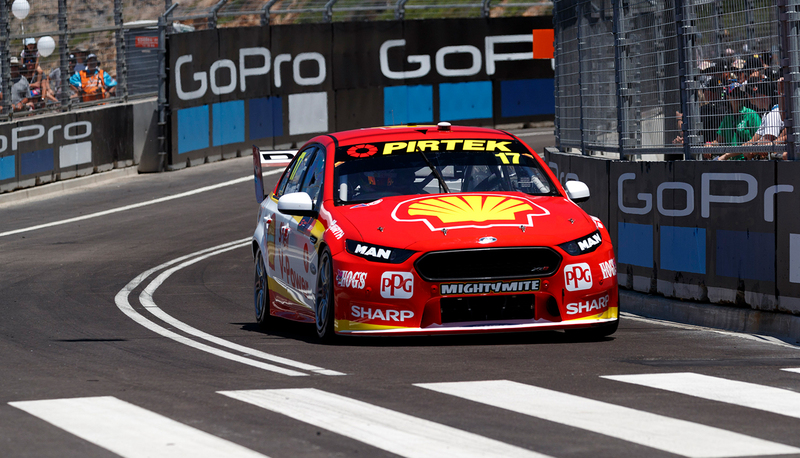 Scott McLaughlin returned serve on title rival Jamie Whincup with a commanding run to the fastest time in second practice at the Coates Hire Newcastle 500. 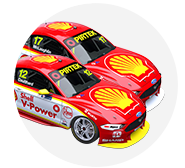 The Shell V-Power Racing Ford driver, who had been seventh in the opening session, set the pace for the majority of the second 40-minute run on the new street layout. McLaughlin, Whincup, Nick Percat and Scott Pye all spent time atop the order in the first half of the session. The #17 Ford was the first into the 1:09s 22 minutes in, clocking 1:09.8938s and 1:09.8410s on consecutive laps. Whincup put down his 1:10.0294s best with 90 seconds remaining to go second before McLaughlin extended his margin out to 0.4345 seconds with 1:10.5949s moments later. 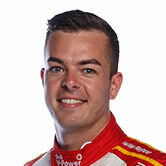 McLaughlin enters tomorrow's opening leg of the Coates Hire Newcastle 500 sitting 30 points behind Whincup as he chases a maiden Supercars title. “The car wasn’t bad in the first practice, but it wasn’t as good as it is now,” said McLaughlin. “Ludo [Lacroix, engineer] tuned it up for me, it was exactly what I needed. “We need to focus on it overnight, I need to improve some driving bits and pieces, a lot of stuff on a new track, but we’ll be OK hopefully. “We had saved [tyres] throughout the year for this round, just to have tyres in the bank, knowing it was going to be a new track," he added. Todd Kelly had gone second in the closing stages before Whincup’s final effort, but the veteran was still well pleased with third ahead of his last Supercars races. “We’ve just finally come good,” he smiled. “The car was pretty good, I didn’t get many laps in that first practice so we’re a bit behind. I’m a little bit surprised at the time, but the car did what I wanted it to, and there it is. “I’m blown away,” he added of Newcastle. “I honestly didn’t expect this event so be so big. Pye backed up his second from opening practice with fourth ahead of Fabian Coulthard, Tim Slade, David Reynolds, Garth Tander, Percat and James Courtney. Shane van Gisbergen was just 14th after a session that included a late trip down the escape road, where he was joined by James Moffat. Van Gisbergen had complained about the balance of his car throughout the session, suggesting on his team radio that something may have been broken. “He thinks something’s wrong with the car, as such, not just a tuning thing that’s a change between P1 and P2,” explained Red Bull team manager Mark Dutton. “We haven’t been able to put our finger on it yet. We’ll tear it down now and have a quick analysis to see if it’s the case or if the change in grip conditions [caused the feeling]. It's a bit of an odd one." The Prodrive Fords were also down the order, with Cameron Waters 13th, Mark Winterbottom 16th, Chaz Mostert 19th and Jason Bright 23rd. Despite the circuit being uncharted territory for the drivers, both of today’s 40-minute sessions ran without a single red flag interruption.